Get in touch with us for obtaining the finest quality and robust built Stainless Steel Pipes and Tubes! 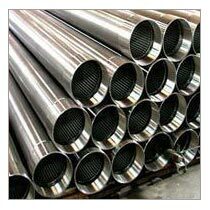 We are a reckoned Manufacturer, Supplier and Exporter of AISI 431 Stainless Steel Seamless Pipes & Tubes in Mumbai, Maharashtra. We can make them available in ample of specifications, standards and grades. Moreover, the AISI 431 Stainless Steel Seamless Pipes & Tubes, provided by us, are cost-effective as well.